BARANQUILLA, Colombia - Curaçao-based airline, InselAir, will begin operations with two weekly flights that will connect Barranquilla and Willemstad, starting June 20, 2014. InselAir will offer special introductory airfares from Barranquilla to Curaçao, Aruba and Bonaire until September 30, 2014 for roundtrips. 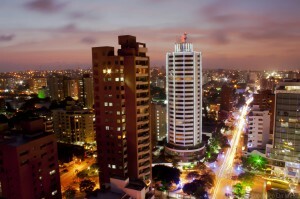 Barranquilla has become the second destination, along with Medellin, where InselAir offers direct flights to Colombia. The new route will allow a direct connection to one of the country’s major cities, where travelers from the Caribbean will be able to enjoy activities associated with culture, shopping, sailing and cruises. They will also be able to make use of the clinics and medical centers, whose quality have made Colombia a world-class destination for health care within the region. "With the opening of this new route, travelersfrom Curaçao and the other Dutch islands in the Caribbean will have the possibility of living unique experiences such as the Barranquilla Carnival, as well as using services of a medical nature from internationally-recognized institutions,"said the President of Proexport Colombia, María Claudia Lacouture. One of Proexport’s missions is supporting the arrival of new airlines which benefit the country with opportunities of connectivity between national destinations and strategic markets for tourism such as Curaçao. Proexport and InselAir have been working hand in together the markets of Curacao, Aruba and Suriname. This new route to Barranquilla strengthens the relationship between the two partners as well as the connectivity between the Dutch islands in the Caribbean and the different cities of Colombia. "InselAir offers all passengers, especially business travelers, a convenient flight schedule service, Comfort Class, check-in online and frequent travelers are rewarded through the loyalty program Insel Starmiles" says Jurgen Lippinkhof, Commercial Director of InselAir. From its hub in Curacao, passengers have easy access to 19 other destinations of InselAir such as Miami, Aruba, Bonaire, Curacao, Haiti, Kingston, St. Maarten, St. Domingo, and Paramaribo. InselAir will offer special introductory rates from Barranquilla to Curaçao for US $277, Aruba US $331 and Bonaire US $296 until September 30, 2014. All fares are for roundtrip flights, and include government taxes (Excludes airport tax in Curacao). Proexport Colombia is the government agency in charge of promoting tourism, foreign direct investment, and Colombian exports all over the world. For more information tourism in Colombia, please contact our office in the Caribbean. Email: caribe@proexport.com.co. Tel: (786) 315-4260.